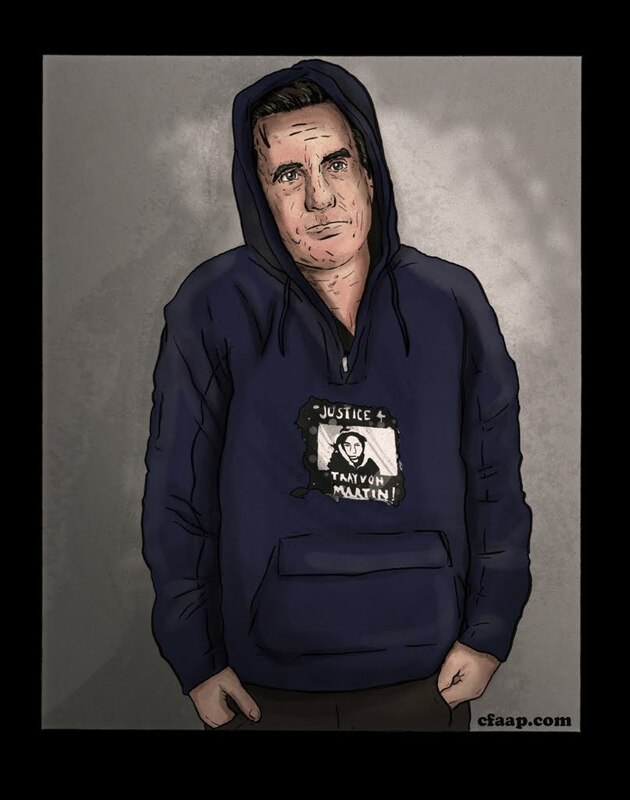 Mitt Romney features Trayvon Martin in justice-oriented ad campaign. On the evening of February 26th, 17-year-old Trayvon Martin was shot and killed by neighborhood watch captain George Zimmerman inside a gated Sanford, Florida community where he was living with his father, stepmother and little brother. More recently, in an effort to court black voters (which, contrary to the assertions of Newt Gingrich, means to try and woo them)… Mitt Romney released the attached set of pictures — mock-ups for a potential ad campaign tentatively titled, “flip the script” — in order to gauge the public’s response. According to Romney spokeswoman Andrea Saul, the FTS campaign will attempt to promote two central conceits. 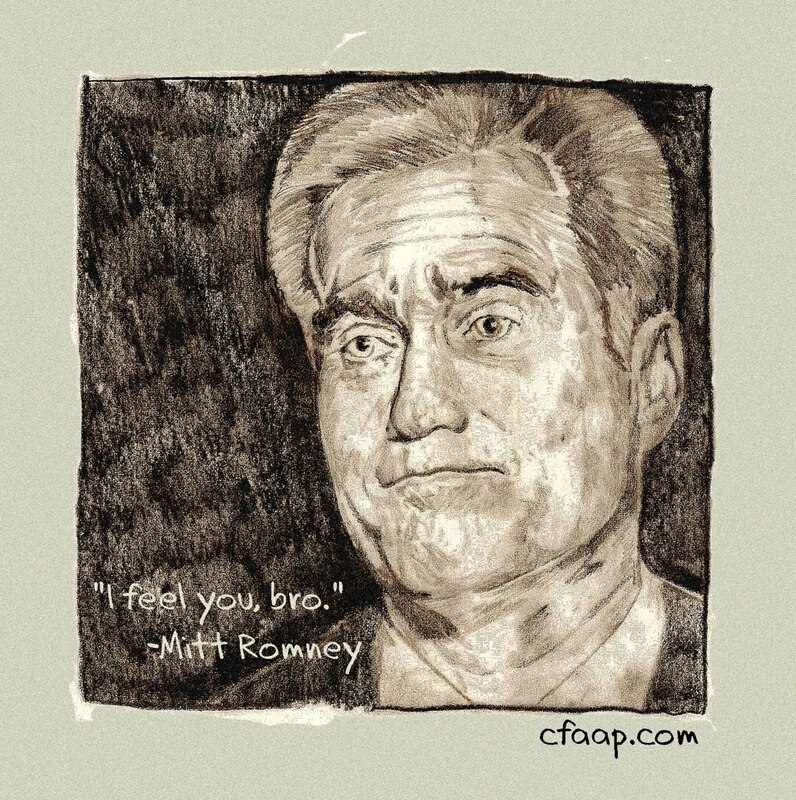 One – Mitt Romney is an everyman. Two – If Mitt Romney had a son, he would look like an amalgamation of all the murdered minorities of the past 10 years. Should reception to the campaign be positive, Sauls hinted that Romney will consider tattooing a likeness of Trayvon on his chest — possibly with the intention of revealing it for the general electorate during an upcoming presidential debate. Romney stated that if a Latino child were killed, he would consider taking similar action. Romney is believed to be unconcerned with Muslims. 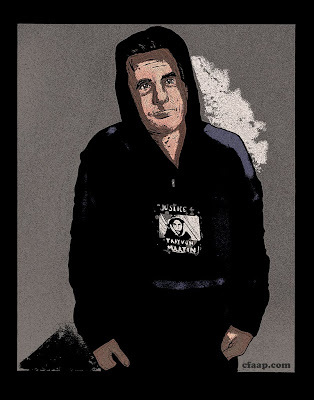 Per Sauls, Mitt Romney will be appearing Friday at Coachella with the Tupac hologram. By Ryan + Aron, for the CenterforAmericanProgressIllustrated.com. I love those printers! Economy saved! Occupy Halas Hall: Pay Matt Forte Chicago Bears!